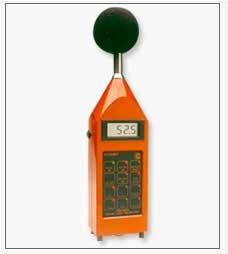 These sound level meters are General Purpose Sound Level Meters with digital display for spot measurement of SPL in dB(A-weighted) units. These instruments are Type-2 accuracy instruments as per IS9779:1980 with Calibration traceable to NPL, New Delhi. The 2001 has all the features of 2031A along with data memory to store a series of SPL measurements which can be made at user defined intervals of 25 milliseconds - 9999 seconds. The files are downloadable to a PC and the software can provide various statistics, graphs etc of the data. Ideal for Environmental Noise Level assessment. This model is a Type-1 instrument (Precision Grade) with Leq, Lmax, Lmin and SEL measurement. It has a wide measurement range, and a host of features like A/C/Linear weighting, Slow/Fast/Impulse time response, Max Hold, detachable microphone, rechargeable battery, and a alphanumeric display. We can also supply any type of Sound Level Measurement customised to your needs on a PC platform as a Virual Instrument. 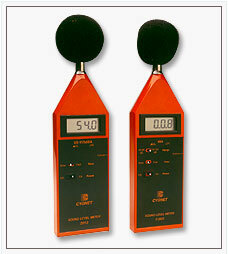 Examples: Sound Level measurement of Gearboxes, White Goods, Pumps, Motors, or auto-ancillaries. 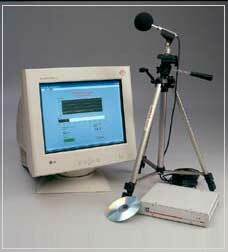 Vibration Measurement can also be combined with the above measurements to yield state of art NVH assessments.